Injured from fall, tested positive for weed: Does she get workers’ comp? Judges split 2-1 on whether an employee who was injured at work should receive workers’ comp benefits after testing positive for weed. Which side prevailed? Bonita Brinson was an employee of Hospital Housekeeping Services LLC. As the name of the company implies, Brinson was placed at a hospital as a housekeeper. One day at work, Brinson rushed to alert the nurse’s station that a patient had coded and wasn’t breathing. She slipped and fell, dislocating her shoulder. A post-injury drug test was positive for marijuana metabolites. Because of the positive test, Brinson’s workers’ comp claim was denied. A Judge of Compensation Claims (JCC) also denied her benefits request. Recently, a Florida appeals court heard her case. 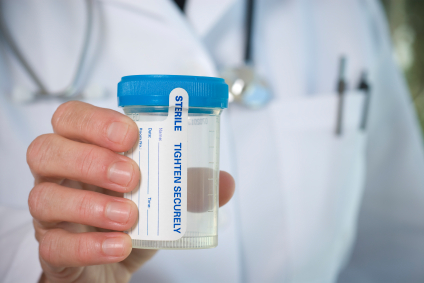 Florida’s workers’ comp law “presumes that the injury was occasioned primarily by the influence of the drug upon the employee” when an injured employee tests positive for drugs after an incident. The law allows the injured employee to rebut the presumption by presenting convincing evidence that drugs didn’t contribute to the injury. Show the marijuana in her system was just inactive residue of fairly recent usage. Brinson’s rebuttal consisted of testimony from two medical experts who said the drug tests showed only the presence of metabolites, but don’t show drugs active in the bloodstream caused impairment. Both doctors also said they had no opinion on whether the drugs in Brinson’s body contributed to her injury. For those reasons, the court upheld the JCC’s ruling that Brinson shouldn’t receive workers’ comp benefits. The dissenting judge quoted Florida law which says an employer may require a drug test from an injured employee only “if the employer has reason to suspect that the injury was occasioned primarily by the use of any drug.” The judge said, given the facts in Brinson’s case, there was no evidence that there was reason to suspect Brinson was impaired by drugs. Therefore, testing Brinson was unauthorized. The dissent also notes that Brinson’s employer hadn’t adopted a statutorily defined drug-free workplace program. If it had, it would have had latitude to drug test injured employees. “But the employer here jettisoned its attempt to establish a drug-free workplace program,” the dissent notes. Very interesting. I must say I 100% disagree with the Florida law where a work place must have adopted a statutorily defined drug-free workplace program. The burden should be on the employee to prove themselves drug free if an employer states and has signed papers with the employee that the company is drug free and tests will be performed at time of injury and can be performed randomly. I will be making sure that where I work has the proper “statutorily defined drug-free workplace program” in place ASAP. I want to be sure that the company is safe from drug users. I agree with RURC. If an employee has signed acknowledgement that they are aware the employer is a drug-free operation and that the employee will be tested in case of an injury, it seems that the burden of proof is shifted to the employee to prove that the drugs did not influence their actions and the repercussions. It all comes down to how much “hand-holding” has to be done and when should the employees be responsible for their own actions. I hate to say it but for the entire time that I’ve been involved in WC, the general feeling is “We insure stupidity.” Where does it stop/ It seems we’ve been on a slippery slope in most states for too many years presuming that the employees have no brains, no judgement, and no will of their own….